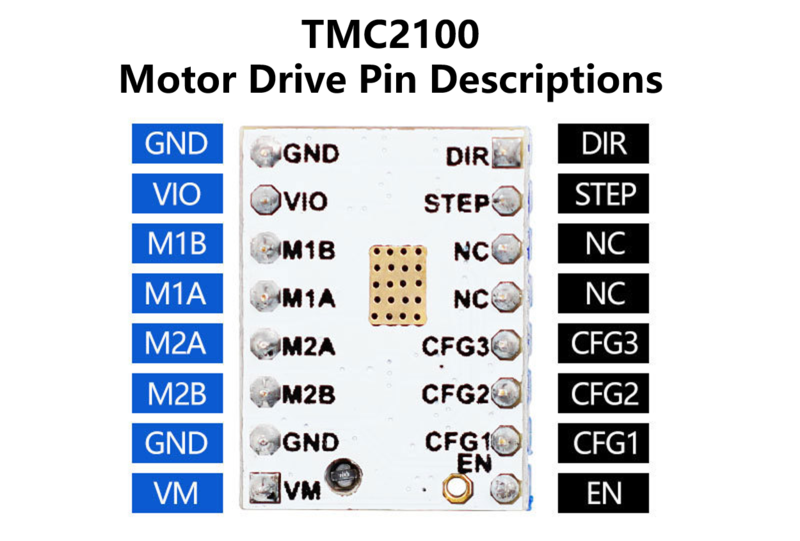 The TMC2100 provides an integrated motor driver solution for 3D-Printing, Cameras, Scanners and other automated equipment applications. 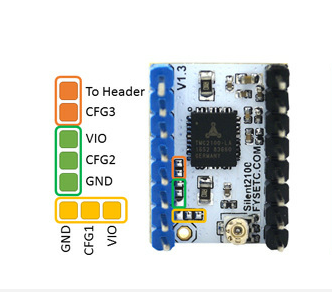 The device has an integrated microstepping indexer, the completely noiseless current control mode StealthChop™ and is intended to drive a bipolar stepper motor. 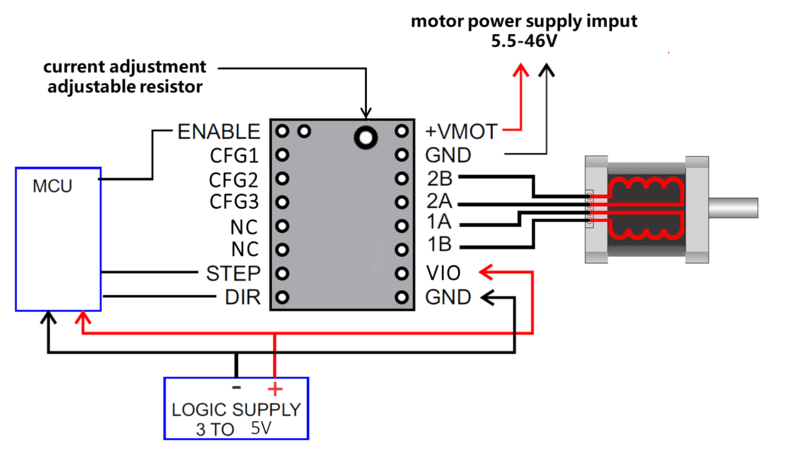 The output driver block consists of low RDSon N-Channel power MOSFETs configured as full H-bridges to drive the motor windings. The TMC2100 is capable of driving up to 2.5A of current from each output (with proper heatsinking). 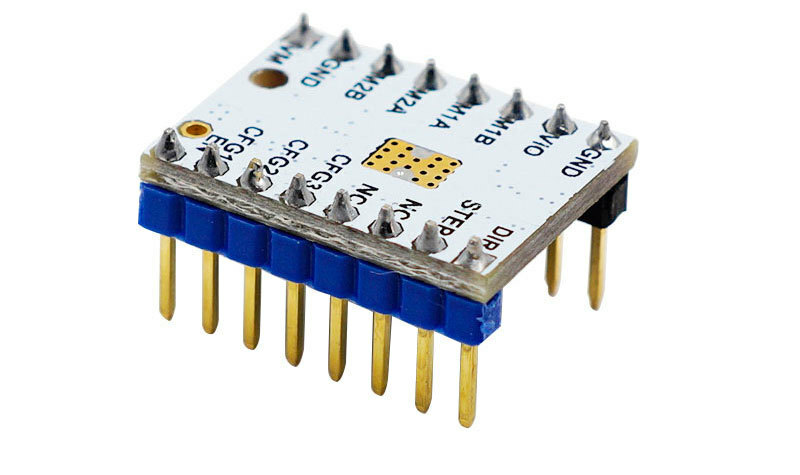 TMC2100 is designed for a supply voltage of 5~46V. 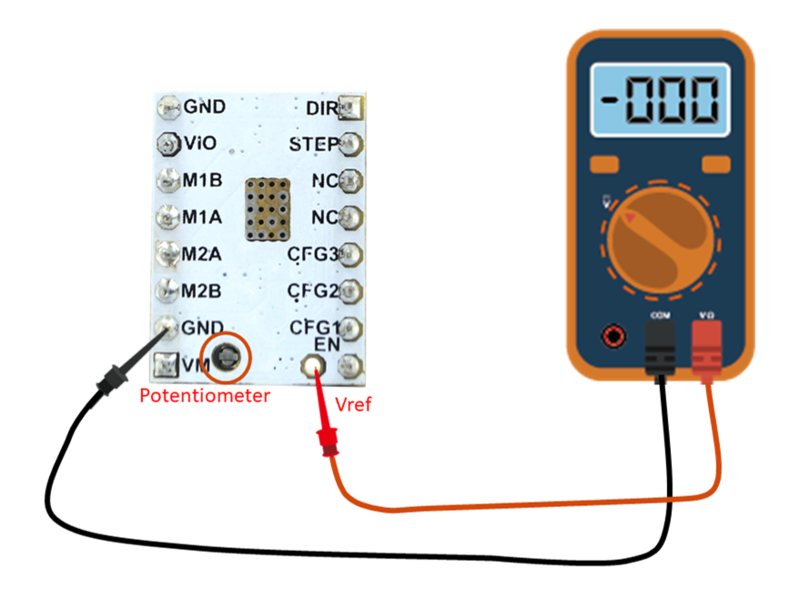 The device has a step and direction interface and can be configured with digital pins. When using on Ramps1.4 or MKS Gen, please remove the three jumper caps under the socket. Pay attention to the direction. The heat sink is directly attached to the PCB. The motor direction is the opposite of 4988 and 8825. If you want to replace the 4988 directly, please adjust the firmware or adjust the motor connection.